Google Analytics has throughout been a challenge for majority of the online marketers. It can be overwhelming, confusing and difficult for the laymen to decipher and understand. In most cases, marketers even don’t report back to their client’s analytics because they’re pretty not sure where to start, partially due to information overload and tough to comprehendible data. To make things worse, there wasn’t an easy way to offer local SMB clients with an overview of how their campaigns were performing. Thanks to Google Data Studio that Google now gives you the permission to create reports which are even understood by your clients. It is a part of Google Analytics 360 Suite, which is the high-end enterprise package of GA. Most of us don’t have enough funds to spend money for such an analytics tracking tool and this is why we opt for the free version. 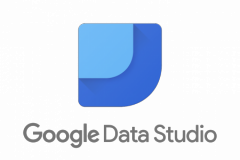 Google Data Studio – What is it? Goole Data Studio offers you everything you require to transfer your client’s analytics data into easy-to-understand, informational reports through visualization of data. The reports are easy to read and share and are even customizable to each of your clients. You can choose how you want to present the data, chart, bar graphs and so on. You can also change fonts and colors and brand the reports along with your logo. One thing which is cool about Data Studio is that you can pull out more than just Google Analytics data as you can also import Facebook data. If you can get your data on Google Sheet, it can be pulled into Google Data Studio. In order to access Google Data Studio, you can visit the official site and log in using your login information details of Google Analytics. Presently, if you’re using the free version of GA, you get a limited version of the Data Studio and through it you can create up to 5 custom reports for free. This program is currently available only in America but very soon it is expected to be introduced to other countries throughout the rest of the year. In case you’re that type of a person who loves working with spreadsheets, you may not feel that Data Studio is also a big deal. But for the large number of people who hate Google Spreadsheets, this is more like a godsend boon for them.